Normal series since 1971. 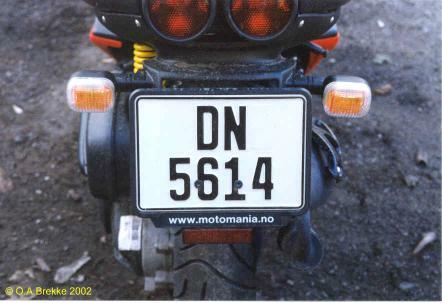 2001-06 plate style. BR = Asker og Bærum. Unofficial small sticker plate. Normal series since 1971. 2001-06 plate style. SD = Haugesund. Normal series since 1971. 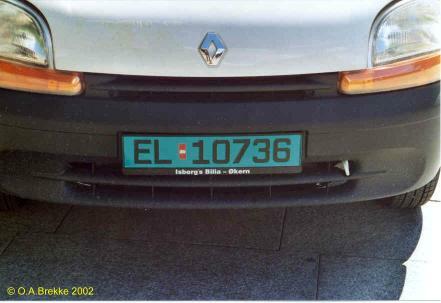 2001-06 plate style. Miniature size (since October 2001). DK = Oslo. 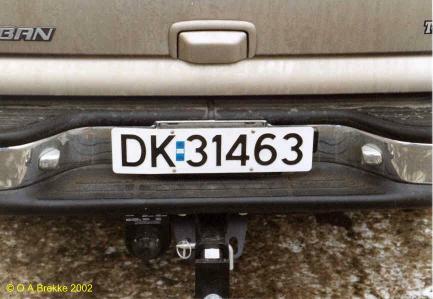 The rear plate was in 1971-2001 style. Light commercial series since 1986. 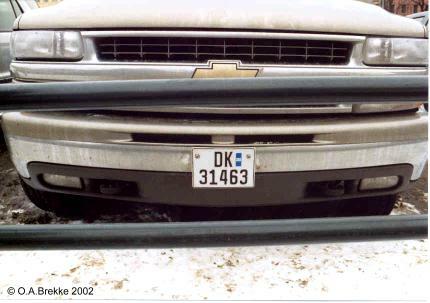 2001-06 plate style. Numbering blocks from the normal series are used. DK = Oslo. Light commercial series since 1986. 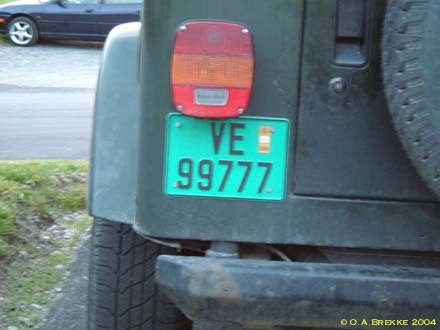 2001-06 plate style. Numbering blocks from the normal series are used. JR = Fagernes. Light commercial series since 1986. 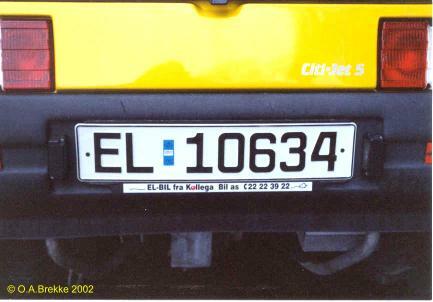 2001-06 plate style. Miniature size. Numbering blocks from the normal series are used. VE = Trondheim. This is an older registration remade in 2001-06 style. Vehicles not allowed on public roads (exempt from road tax), since 1971. 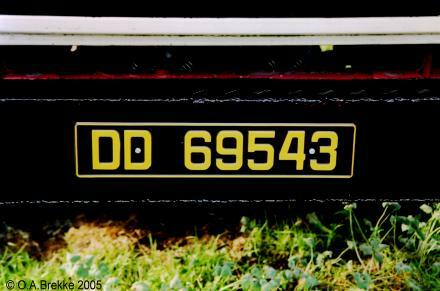 2002-06 plate style. Numbering blocks from the normal series are used. CV = Jessheim. Vehicles not allowed on public roads (exempt from road tax), since 1971. 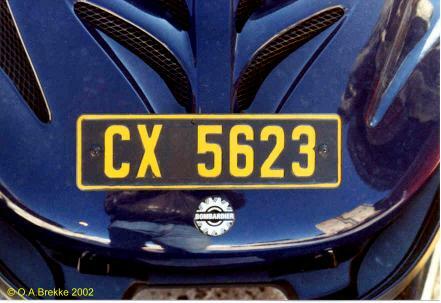 2002-06 plate style. Numbering blocks from the normal series are used. DD = Oslo. 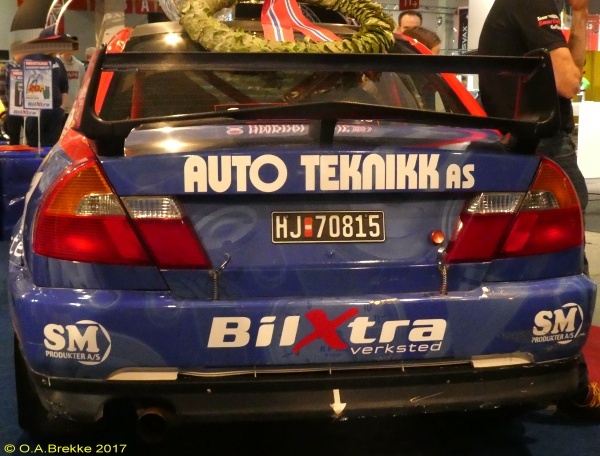 Rally series since 1999. 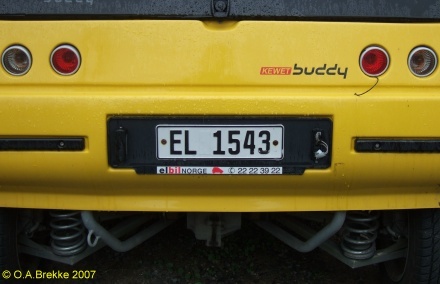 2002-06 plate style. All rally plates are small size. Numbering blocks from the normal series are used. HJ = Kongsvinger. 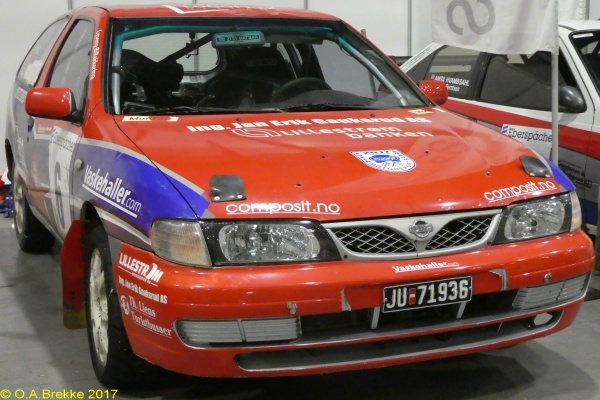 Rally series since 1999. 2002-06 plate style. All rally plates are small size. Numbering blocks from the normal series are used. JU = Hønefoss (Ringerike). Four numeral series since 1971. 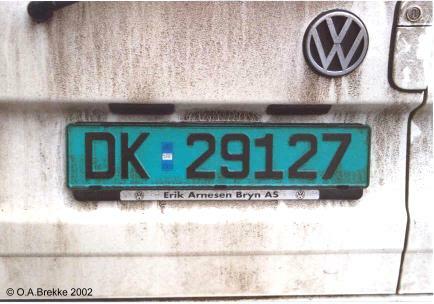 2002-06 plate style. DA = Oslo. 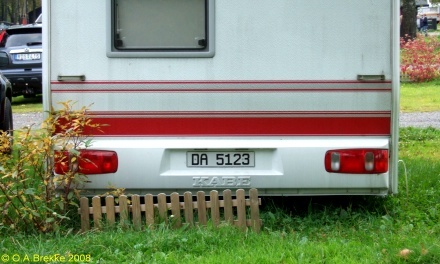 A bit puzzling with an old registration on a fairly new caravan. Maybe a leftover part of the series was used. Four numeral series since 1971. 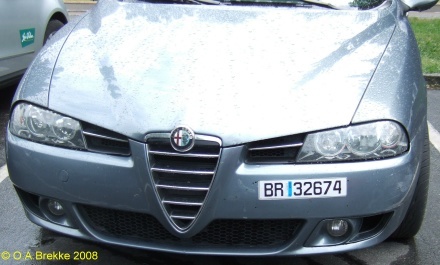 2002-06 plate style. SX = Bergen. Four numeral series since 1971. 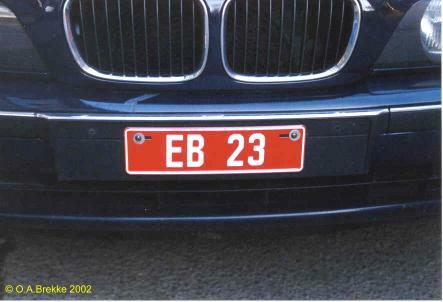 2002-06 plate style. Small size. DN = Oslo. Four numeral series not allowed on public roads (exempt from road tax), since 1971. 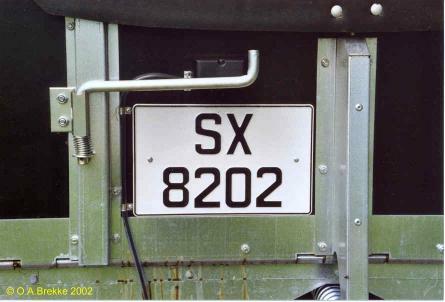 2002-06 plate style. Small size. CX = Jessheim. Snowmobiles only have one plate. Electrically powered vehicle series since 1999. 2002-06 plate style. EL = Electric (centrally issued). 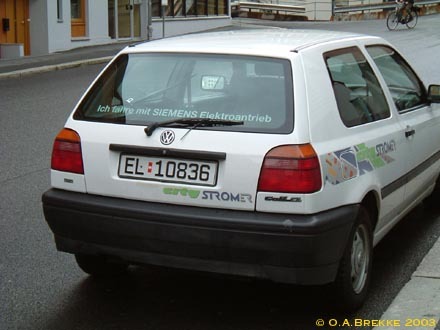 Electrically powered vehicle series since 1999. 2002-06 plate style. EL = Electric (centrally issued). Black on green = Light commercial vehicle. Electrically powered four numeral series since 2001. 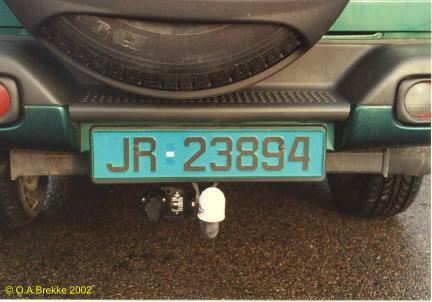 2002-06 plate style. Small size. EL = Electric (centrally issued). 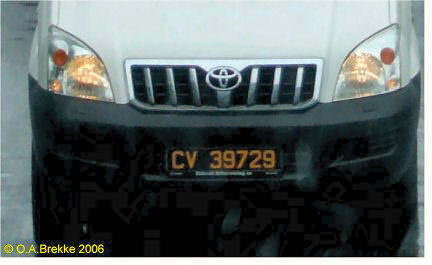 This small vehicle is registered as a motorcycle. Gas powered vehicle series since 1999. 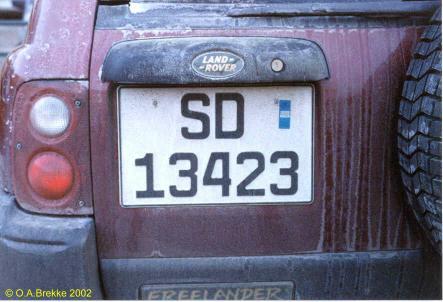 2002-06 plate style. GA = Gas (centrally issued). Trade plate series 1971-2015. 2002-06 plate style. 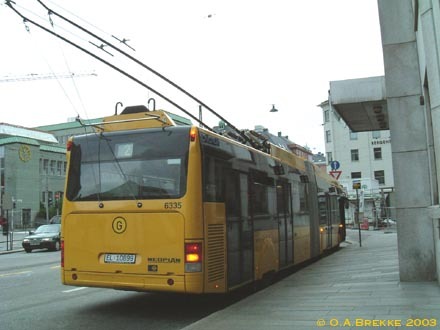 EB = Oslo.